What do you do when your parents refuse to let you get vaccinated? Ask the Internet. Danny was 11 years old when he realized his mom was an anti-vaxxer. He&apos;d recently learned what vaccinations were by talking to friends at school, and deduced, after a few tense conversations with his mom, that he didn&apos;t have them. "No kid likes being the odd one," he says. That, combined with a little teenage rebellion, prompted him to fight her on it. For years, he&apos;d bring her scientific studies and public-health websites to prove what medical professionals have long known: Vaccines don&apos;t cause autism, they do prevent two to three million deaths a year, and going without them puts you and others at risk from deadly, vaccine-preventable diseases—something that&apos;s become increasingly apparent during ongoing measles outbreaks in New York and Washington. "After spending a good amount of time researching and reading, I came to the conclusion that there was something strange going on," Danny, now 16, told me over Reddit. (Danny, like the names of all the teens in this story, is a pseudonym.) Still, he wasn&apos;t making much progress with his mother—so he turned to strangers instead: On the discussion website Reddit, he asked for advice on how to get vaccinated without her. Like Danny&apos;s mom, an estimated one in 10 parents in the United States are not following the Centers for Disease Control and Prevention&apos;s (CDC) recommended vaccination schedule, forgoing or delaying their children&apos;s protection from up to 16 diseases. 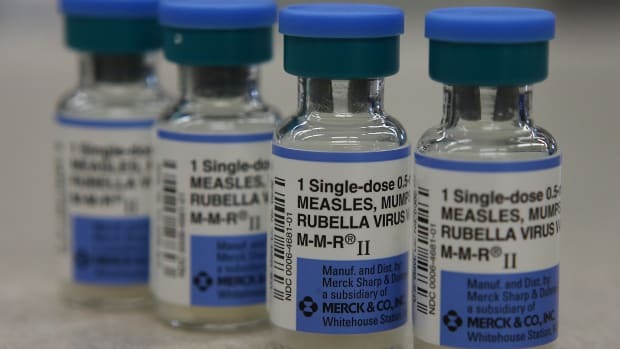 This small but vocal anti-vaxxer movement has contributed to a 30 percent increase in measles cases worldwide, leading the World Health Organization to name "vaccine hesitancy" one of the top 10 health threats of 2019. Unfounded fears of vaccination first grew out of a now-retracted study that falsely linked the MMR (measles, mumps, and rubella) vaccine to autism, a claim other studies quickly trounced. Fueled by celebrity endorsements, fraudulent science, and Russian bots, these beliefs persist on the fringes—helped along by Facebook and YouTube, which spread anti-vaccination propaganda, a Guardian investigation found. These parents have spawned a generation of unvaccinated children, who, as minors, have limited control over their own care and wish to reclaim it. 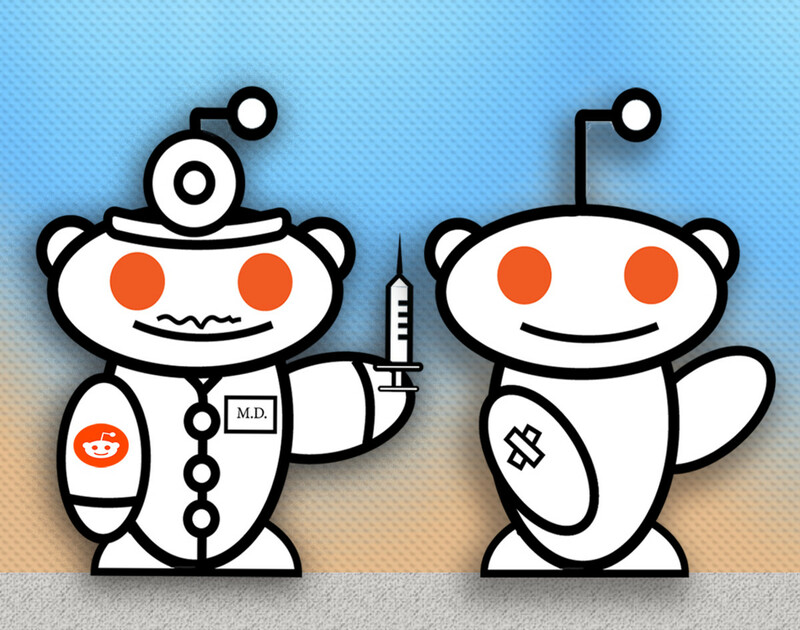 Now, some are taking to Reddit—not only to vent their frustration, but also to find real solutions to the desperation they feel about their health. Danny&apos;s post on the Reddit community forum r/legaladvice started like this: I have spent the last 4 years trying to convince my mother that vaccines are safe. I haven&apos;t succeeded. So instead I am trying to research how to be vaccinated without my mother&apos;s consent. Responses poured in. Many were empathetic or resigned; others were helpful, but misleading: "You sound like a smart kid." "You are limited in options." "Wait until you turn 18 and go out and get vaccinated yourself." "Thank you," Danny wrote back. "Guess it looks like I&apos;m gonna have to wait." But he didn&apos;t. It took a lot of persistence, he says, but he finally convinced his mother to let him get a tetanus and polio vaccine after bringing it up at a routine check-up. Danny knows he&apos;s lucky: "We understand and respect each other&apos;s opposing views," he explains, "and of course, conversations can become heated and hard, but we respect and understand and love each other." Most of the teens I talked to for this story have yet to be vaccinated. While persuasion can work, studies show that attempts to convince vaccine skeptics often backfire. The consequences of failure are growing more serious: Researchers have found anti-vaccine "hot spots" in states that offer non-medical vaccine exemptions, and many of these—Colorado, Oregon, Texas, and Washington—now have confirmed cases of measles, a disease once eliminated in the U.S. In what&apos;s now been declared a state public-health emergency, more than than 50 people have been infected by measles in Washington and Oregon. Since the age of medical consent is usually 18, many unvaccinated minors have been driven to extremes. Danny briefly considered forging his parent&apos;s signature on a vaccine information statement. Another teenager told me they were considering telling a counselor that their parents had lied on their religious exemption form, which anti-vaxxers use as a work-around. These exemptions exist in 47 states—everywhere but California, Mississippi, and West Virginia, according to the National Conference of State Legislatures; 17 states also allow philosophical exemptions, typically defined as "moral, philosophical or other personal beliefs." Some found the answers they were looking for on Reddit, but the responses don&apos;t provide the full picture. Federal law does not require parental consent for vaccinations, although the National Childhood Vaccine Injury Act does require that physicians provide a vaccine information statement, commonly mistaken for a consent form. (The statement must be provided to the minor&apos;s parent or legal representative, and the CDC defers to the state&apos;s definition of a minor.) Instead, a patchwork of state laws governs minor consent, which changes depending on your status or the services: In some states, minors can consent for health care if they are emancipated, married, in the armed services, living apart from parents, pregnant, a high school graduate, incarcerated, or considered a "mature minor." 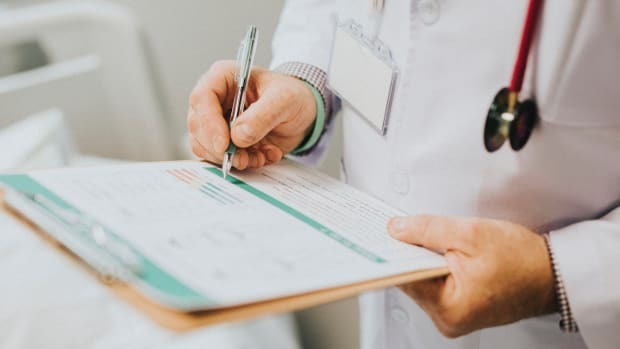 The mature minor doctrine, a common-law concept upheld in some state courts, means that a patient under 18 can sometimes give informed consent to low-risk medical procedures. It&apos;s commonly reserved for reproductive health. In such states, the doctor would be the one to decide who&apos;s mature and who&apos;s not, according to Dorit Reiss, a law professor who specializes in vaccine law and policy at the University of California&apos;s Hastings College of the Law. Another category of state law allows minors to consent for prevention, diagnosis, and treatment of sexually transmitted and "reportable diseases," many of which are vaccine-preventable (including hepatitis A and B, measles, and mumps.) 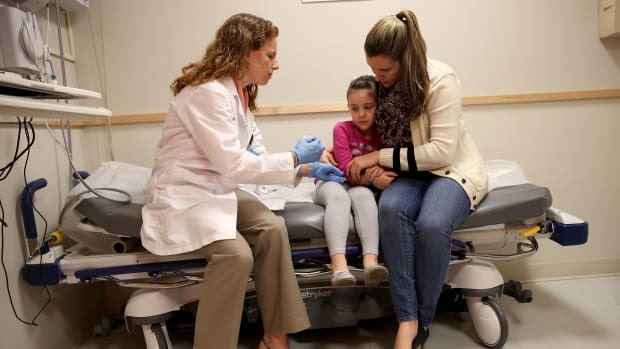 Although it&apos;s not explicitly mentioned, Abigail English, director of the Center for Adolescent Health & the Law, writes that "vaccination generally would be covered" under these laws. A CAHL analysis finds that at least 21 states have laws on the books extending consent to minors for these diseases, 46 do so for HIV, and all 50 authorize care for sexually transmitted diseases (although this does not always include prevention). Some of these laws are very specific: In Delaware, anyone 12 or older "who professes to be afflicted with contagious, infectious, or communicable diseases may give written consent for any licensed diagnostic, preventive, lawful therapeutic procedures, medical or surgical care or treatment, except an abortion." Others are less defined, such as Alabama&apos;s provision allowing "any minor" to consent for services "to determine the presence of or to treat any reportable disease, including HIV." In Danny&apos;s home state of Minnesota, there are no reportable disease statutes, but minors can consent for hepatitis B vaccinations under a 1993 law. Ultimately, though, the decision is up to a hospital&apos;s discretion. A 2014 study found that half the medical professionals surveyed believe an unaccompanied 17-year-old adolescent cannot consent to vaccines for influenza, Tdap (tetanus, diphtheria, and pertussis), or HPV (human papillomavirus) in a public clinic. And even if a minor were able to pay for a vaccination, it&apos;s likely their parents would find out. In some states, parents aren&apos;t able to access their child&apos;s electronic medical record for care the teen consented to, and insurers can list certain treatments with generic terms, like "lab work," according to researchers at Baylor College&apos;s Center for Medical Ethics and Health Policy. But that&apos;s not the norm, Reiss says. "It would be hard for a minor to practically get vaccinated without their parents&apos; knowledge," she says. Unvaccinated teens, often afraid to violate a parent&apos;s trust, want to be assured of their privacy. "I&apos;m mostly just afraid of how my mom might react if she found out I did get a vaccine, much less without her knowledge or permission," says Alex, an 18-year-old living in Washington. "If I knew I could get one without her knowing then I would likely do so." Alex does not know if they&apos;ve received their childhood vaccines; all they know is when they bring it up with their mother, "she rants about how vaccines aren&apos;t safe." Still living with their parents, Alex has yet to get vaccinated, but not for an ideological reason: "This is mainly because I believe I&apos;m on my parents&apos; insurance, and I don&apos;t have a car or ID or driver&apos;s license to go get one myself," they say. "I believe that when I at least get a driver&apos;s license I&apos;ll likely go out and get a vaccine when I can." Given the unknowns, it makes sense that one frustrated Reddit commenter offers consolation instead of advice: "It&apos;s sad and fucked up your parents can force you to make yourself more at risk for disease." The medical community has said as much, with less profanity. Since unvaccinated pockets compromise herd immunity and harm public health, medical ethicists have made the case that parents who don&apos;t vaccinate their kids are negligent, and should be held ethically—and even legally—responsible. For example, what if the child of an anti-vaxxer infected your kid with measles? Or if a teen who can&apos;t consent for the HPV vaccine ends up getting cervical cancer? These hypotheticals are becoming increasingly real. Michael, a 15-year-old in New York who is up to date on his required vaccines, has had trouble convincing his parents to let him get the flu shot or HPV vaccine. As a result, he says he&apos;s gotten the flu "pretty regularly, and it leaves me out of commission for a whole week." Gregory Zimet, professor of pediatrics and co-director of the Center for HPV Research at Indiana University–Purdue University, Indianapolis, describes this scenario as "some kind of infectious disease battery." "I think that case could be made given the public-heath issues around vaccination," he says. "There are some vaccines that are almost all about public-health; the polio vaccine is an example. It&apos;s really about maintaining herd immunity, so that polio doesn&apos;t get introduced to our population, but there&apos;s not a lot of personal-health benefit, because there&apos;s so little polio in the United States." 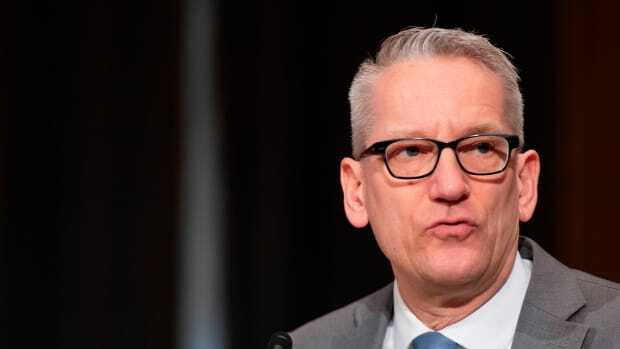 Parents choosing not to vaccinate their children might even constitute "medical neglect," according to Paul Offit, a pediatrician specializing in infectious diseases and director of the Vaccine Education Center at the Children&apos;s Hospital of Philadelphia. Offit compares vaccination to putting your kid in a car seat—a legal requirement in many states. "It&apos;s considered irresponsible as a parent to expose your child to unnecessary risk," he says. "But should it be your inalienable right to allow your child [and others] to catch a potentially fatal infection? That&apos;s the difference between this and a car seat. ... You&apos;re also making the decision for other children." Here, the equivalent of a car-seat requirement is a law that makes it more difficult to opt out of vaccination, such as a new bill proposed in Oregon to eliminate non-medical exemptions for unvaccinated school children. Researchers are now calling for more bills like this one, new vaccine mandates in schools, and better public-health communication. "Parental autonomy does not extend to health-related decisions contrary to the child&apos;s best interests," argue Harvard Medical School researcher Michelle Bayefsky and Lawrence Gostin, a law professor at the Georgetown University Law Center and the director of the O&apos;Neill Institute for National and Global Health Law. "The focus is on school vaccination mandates because they really work," Reiss says. "I think we will see more attempts to do that, but it doesn&apos;t really help the minors who aren&apos;t vaccinated. It should be complementary." Legally, there&apos;s no precedent for other parents suing anti-vaxxers for letting their kid infect another, but Reiss says such a case is "not insurmountable." It might be easier for the child of an anti-vaxxer to sue their parent: Some states have a doctrine called "parental immunity," although a child can almost always hold their parent accountable if they "intentionally exposed" them to a disease like measles. There are legal possibilities, Reiss says. But these kinds of cases are rare. Of course, if the country is ever to end this cycle, it must also inoculate against misinformation. Right now, parents have easy access to anti-vaxxer propaganda, thanks to sites like Facebook. Michael&apos;s mother, for example, blames vaccines for an inflammatory disease that runs in the family, even though "every medical professional I&apos;ve ever talked to has told me that vaccines don&apos;t trigger sarcoidosis," he says. Alex, the 18-year-old in Washington, said whenever they brought up vaccination, their mom would try to get them to watch the pseudoscience documentary VAXXED, directed by Andrew Wakefield, the discredited former physician who authored the fraudulent study. "It all just seems ridiculous to me," Alex says. With this misinformation still thriving elsewhere on the Internet, forums like r/legaladvice are a rare safe haven. Even some of the harsher feedback has helped; Charly, who posted when she was 17 years old and living in Canada, said she began to question her parents&apos; stance after seeing jokes and rants against anti-vaxxers on Reddit. "I began to feel bad about my unvaccinated existence," she says. "It isn&apos;t the best reason, but it&apos;s truly what got to me." Like Charly&apos;s, many of the plaintive requests for advice contain a lot of shame. One unvaccinated user says they&apos;ve tried not to tell anyone. Another writes in the comments: "You have nothing to be ashamed of for your parents not vaccinating you. It wasn&apos;t something you researched and decided against, you were just doing the whole &apos;being a kid&apos; thing." According to the CDC, "being a kid" should involve getting for vaccinated for 16 diseases. But for this group of teenagers, it means a regular flu and hours spent researching risks that don&apos;t exist. Two years after her post, Charly is no longer a kid: Now 19, she says she was able to follow through on the recommendations in the comments and get vaccinated. "It did help in the end," she says. "I&apos;m due for one more round in a few months, and then I&apos;ll be all caught up." Can Pinterest Stop the Anti-Vaccine Movement? 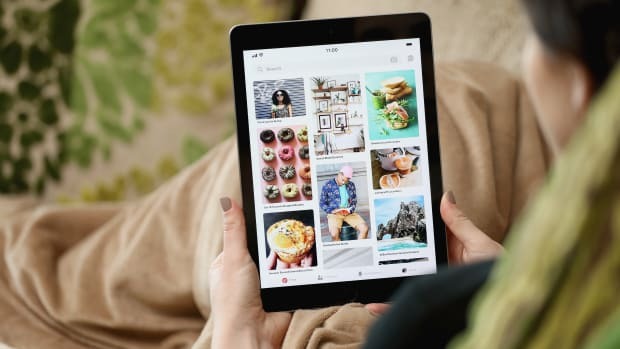 Pinterest has taken a more extreme approach to banning anti-vaccine content than Facebook. Here's how that could help. Legislation made the anti-vaccine movement possible—and as the example of West Virginia shows, it can also help fight it. Are Anti-Vaxxers a Major Health Threat? The World Health Organization Says Yes. 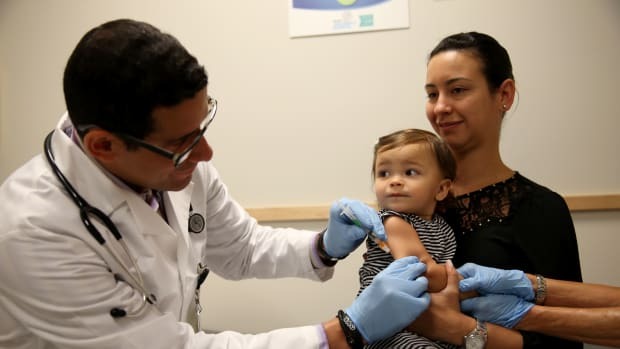 The WHO has named vaccine hesitancy as one of the top 10 public-health threats of 2019. Here's how the anti-vaccination movement came about, and what to do about it.